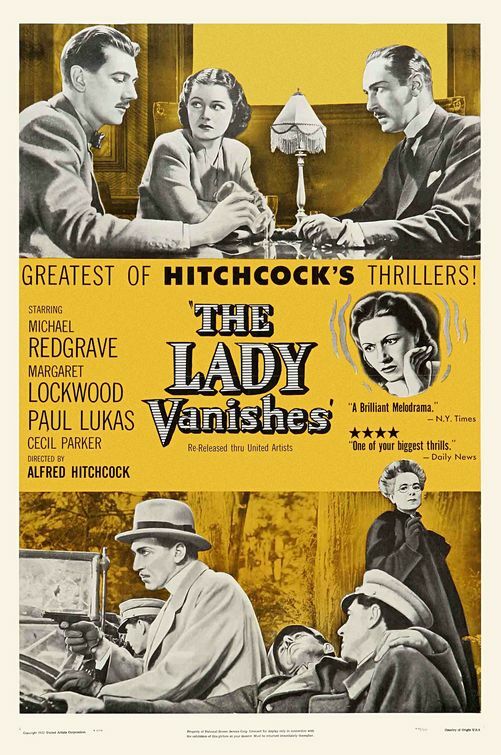 Anyway, I wouldn't say THE LADY VANISHES has aged as gracefully as some of Hitchcock's other vintage classics, but you owe it to yourself to check it out on the big screen, as so many audiences of yesteryear were swept up in the expert blend of comedy and suspense. The setting is a mythical European country. An avalanche temporarily strands an international group of travelers at an inn. Youthful Iris (Margaret Lockwood), from England, is reluctantly engaged to be married to some dull guy and is taking a train trip as one last adventure with her girlfriends before her life settles down to unbearably boring routine (are you gay people still sure you want that right? Not too late to back out...) . Iris befriends an elegant old lady, Mrs. Froy (May Witty), who describes herself as a retired governess. Just before the train finally leaves, Iris is struck on the head by a falling flower-box (which may have been targeting Mrs. Froy) and gets on the train disoriented with the older woman. When Iris wakes up she finds Mrs. Froy missing - and all other passengers and staff deny Mrs. Froy was ever there. 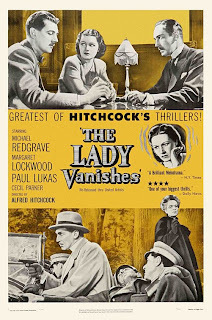 By modern digital-editing/CGI blizzard standards, the narrative is a bit of snoozer, initially, at least for the first half-hour, as Hitchcock calmly introduces the assorted colorful characters in the hotel-bound setting. It's indeed a product of an olden-days era which shows in the dialogue and pacing (a number of jokes revolve around fanatical followers of the sport of cricket - guess you had to be there). But then old Mrs. Froy evaporates into thin air, and the real suspense kicks in and never lets up. Those same silly train passengers from beforehand begin to seem more sinister and dangerous in their denials and blithe dismissals of the frantic Iris. Only a fun-loving musician and noncomformist named Gilbert (the legendary Michael Redgrave) takes Iris' story seriously and tries to help solve the mystery. Though a backdrop of espionage, armed stormtroopers and European political crisis suggests some kind of a Nazi vibe, the thriller actually hearkens to an old-fashioned form of story, the "Graustarkian romance" - tales of intrigue and swashbuckling set in make-believe little countries tucked away somewhere in Europe. The whole PRINCESS DIARIES movie-and-book franchise springs from the same well, thought the genre classic is, of course, the oft-filmed novel The Prisoner of Zenda. Which just goes to demonstrate, again, that this was very much a product of its time, with an old-school movie heroine who faints a lot and needs a man to bail her out of trouble and do the serious fighting (and most of the thinking). Yes, thank you feminists, for freeing us from that, and giving us the delightful cultural climate we now enjoy today (caution: previous sentence contains sarcasm).